I hope this newsletter reaches you well. 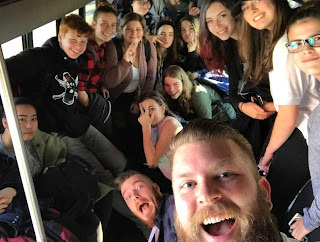 Through the last two years I have been able to volunteer with Youth Unlimited Langley in helping to improve teenager’s lives through a paradigm of holistic health. Whether it was through playing sports at Nights Alive, having deep conversation through one on ones after school or just making small talk in the smoke pit. I have grown to see the need for healthy adult relationships in the lives of today’s teens that seem to be facing adverse situations, many that I have not faced in myself. As my practicum with Youth Unlimited came to a close I knew that I was being led to work with this organization. Youth Unlimited Langley is very relationally focused and I seemed to fit in with the team well. As of May first, I have been hired on as a youth worker to assist in spreading love and care for these teenagers in the Langley community. I have found my specific place in the organization where I feel like I will be most impactful and that fits well with my strengths - building relationships with the students in the local high schools. I have been at Langley Secondary School for the past year and a half where I spend majority of my time with the girls in the smoke pit. I never expected I could love a group of girls so deeply and so quickly. These girls may have a rough exterior due to the hard situations they have found themselves in but it is clear they are a very caring group. I look forward to getting to know them better throughout the summer as well as into the school year in hopes that I may encourage them in their good choices but also be a role model through listening to their stories and the way I live my life. As of now I am unable to spend the amount of time with them that I desire because of a lack of funding. By the end of the summer I am hoping to reach three full days of work with the help of those willing to give. It is a blessing that I will be able to share stories and meet with others who understand the importance of this venture into young people’s lives. I am certain of the value of the work I am doing and I can’t wait to see what the future holds with Youth Unlimited.